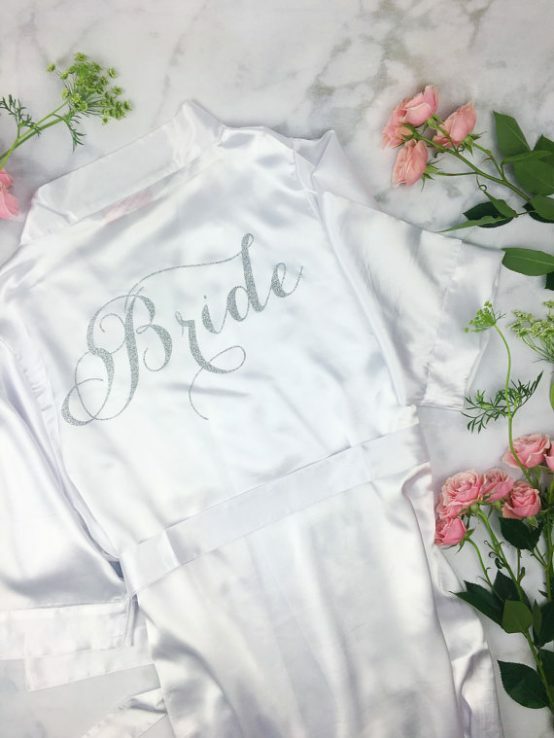 Looking for a personalized bride robe for getting ready? We’ve found one! Details below. P.S. Are you subscribed yet? 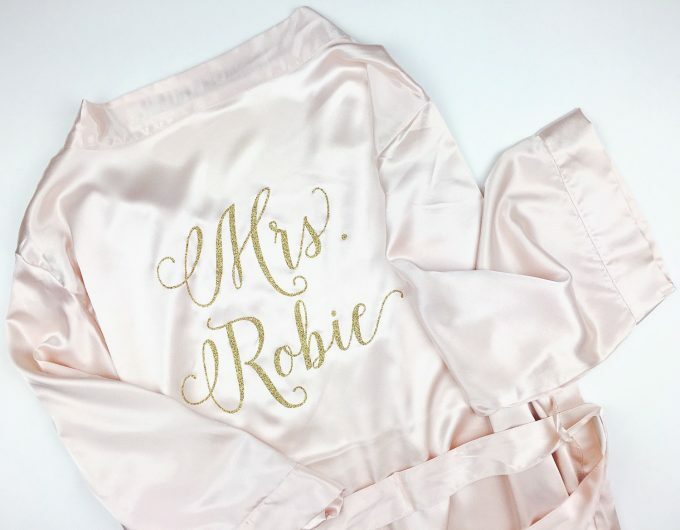 This chic personalized bride robe is today’s handmade-a-day pick! We spotted this gorgeous find at Shades of Pink Boutique and we can see why it’s a popular choice for brides. 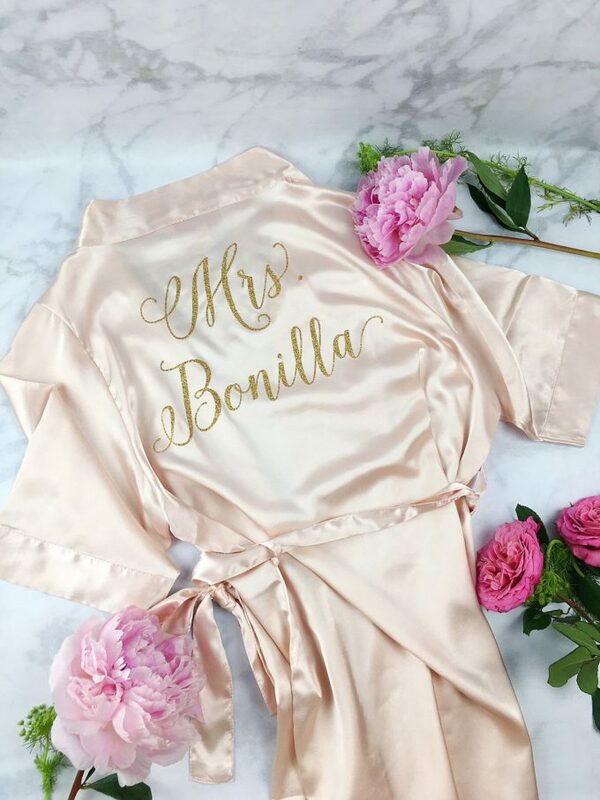 This robe features luxuriously soft satin fabric, personalized options (including “Mrs” and your new name on the back and/or a monogram on the front), and sparkly glitter text in silver or gold. It is available in white or blush, and I honestly can’t decide which color I like best! This makes an awesome alternative bridal shower gift or a surprise gift for the bride the morning of the wedding. Take a look! If you like the bride robe and want bridesmaids to have one, too, choose white for yours and blush pink for your girls. 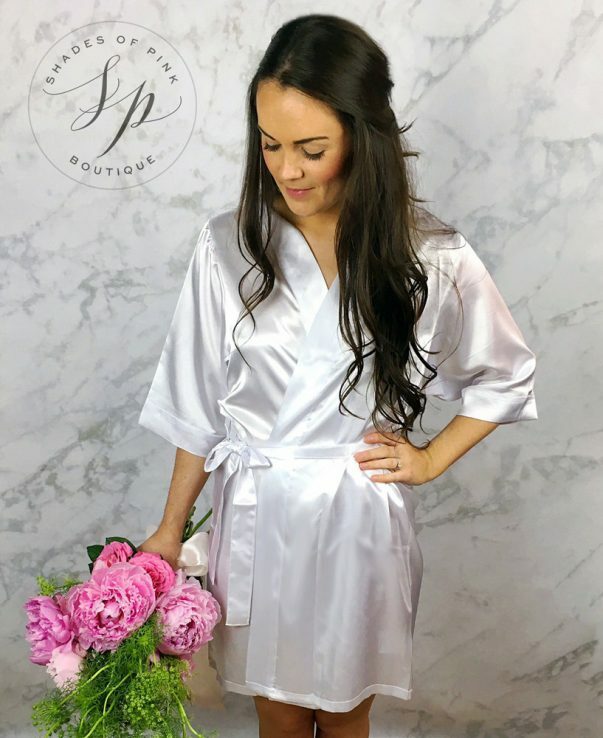 The robe is made of 100% satin polyester and features a kimono style collar with inside ties (for no oopsies during photo ops), belt loops, and a belt. Visit Shades of Pink Boutique to get yours! 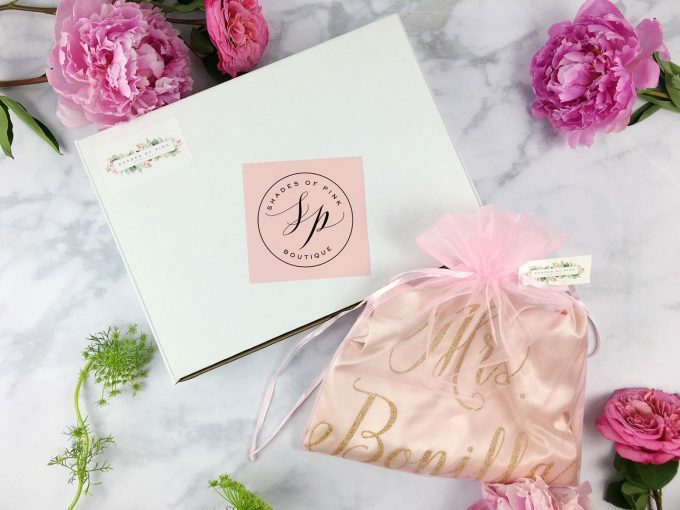 You’ll also find helpful tips for what to have in your bridal suite while getting ready in 9 Getting Ready Rules You Need to Know for Weddings. The Lighthouse Wedding You Have to See! Giveaway: Win an Enchanted Rose Necklace!